With Glastonbury's grass a luscious green and the stages packed away until next summer whilst it basks in a year off, I made the decision to fill the void with my first European festival in its place. With the dust settled I can finally put together some words from my experience. Should you ever find yourself in this position, what's on offer is extensive to say the least. Trying to narrow down a choice from the mouthwatering line-ups is no easy task; from Mad Cool and Rock Werchter through to Sziget and Rock Werchter the list never ends. Having heard my fare share of rave reviews though and with plenty of accolades from friends who've attended Primavera's past years, I took the plunge jetting off to sunny Barcelona in the reassurance of warm weather, a hotel bed to sleep in and not having to traverse muddy fields with luggage. 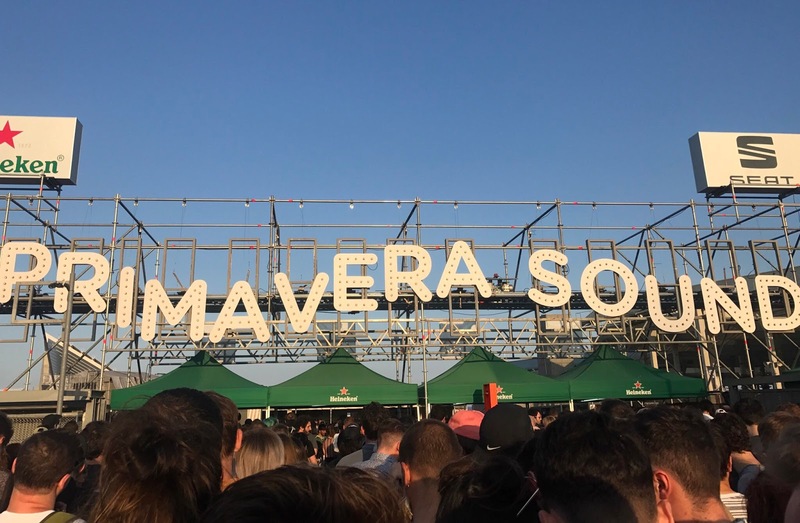 With several stages set across its vast site just a stones throw away from the beach, Primavera boasts an impressive array of acts playing over the weekend, all the while championing its fair share of new and unheard of artists. 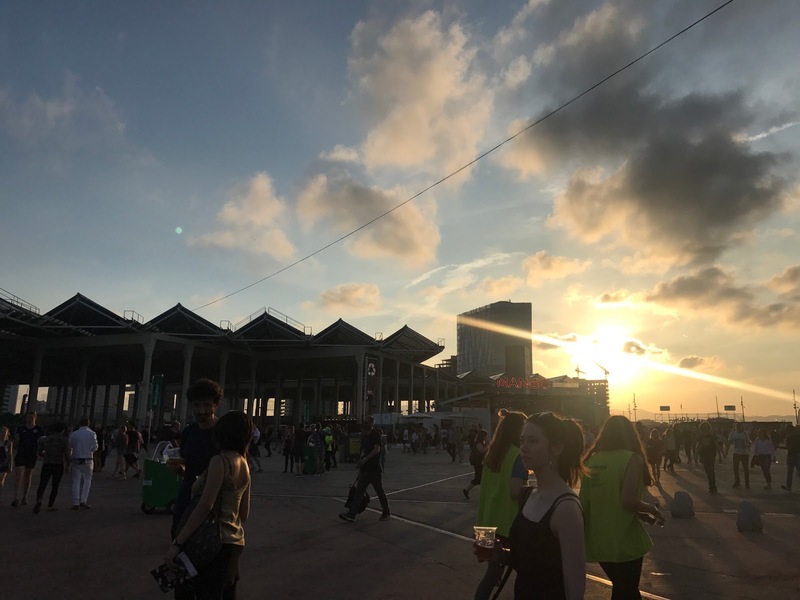 Unlike UK festivals, the music doesn't start until the early evening so it gives ample time to explore the sights of the city, returning for the entertainment as the sun sets. A perfect pairing. Add to that the extravagant food on offer, its self-described “festival within a festival” made-up of three stages and its own private beach and warm weather in tow, it makes for a pretty spectacular escapade. 1. Performance-wise Chvrches new album was sounding incredibly vibrant live. The National and The War on Drugs both went about curating wonderful set-lists, the former being one of my highlights with a touching tribute to the late Scott Hutchison. Elsewhere Lorde was sounding magnificent on the Seat main-stage as she and her choreographed dancers jumped around with a sprightly energy. The quality in sound here being one of the best I'd heard all weekend. 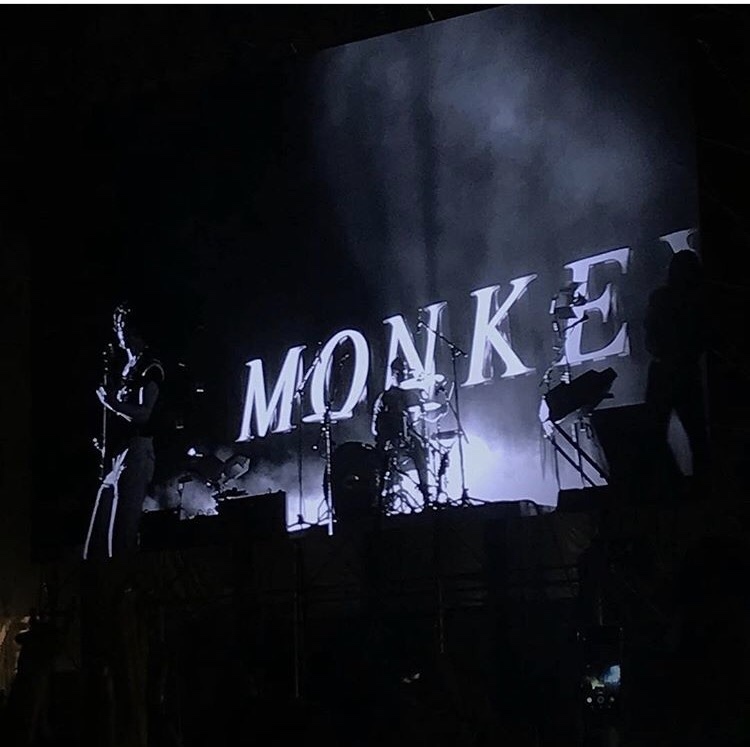 Arctic Monkeys left behind any previous pretentious inclinations emerging to the crowd on time. 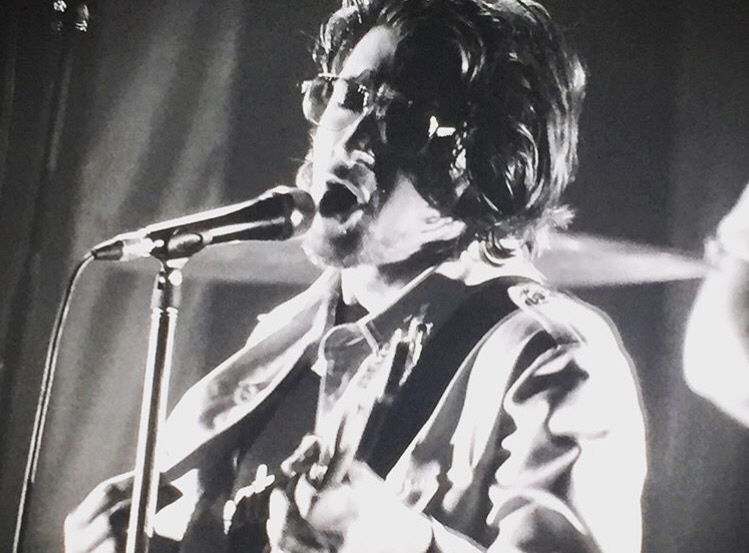 Turner has truly become a fine front-man and it's evident in their performance abilities. There's still one or two songs that could be dropped from the set-list though in favour of some of their more popular choices (Mardy Bum or a Certain Romance could so easily replace some of the less well received tracks. I guess I just need to accept this era has been left behind). Other worthy mentions would be Haim who put on an incredibly fun performance, alongside Jon Hopkins Live, Public Service Broadcasting and Beach House who all delivered. 2. Food glorious food. At festivals it's often a sore point but I felt most things here were reasonably priced. 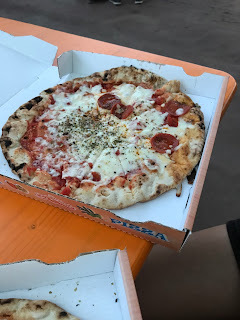 Less than 7 Euros for a pizza is pretty good going (something that would set you back £10-£12 at most UK festivals). Fries were a little pricey but Burritos and Baguettes were all on point. Very tasty too. 3. Smell ya later. The toilets were of an incredibly high standard. Whether this has something to do with festival goers staying off-site I'm not sure, but even on Saturday the cubicles next to the busy food-court remained remarkably clean. Pepperoni pizza? or 3/4 margarita. 1. Let's talk about the sound. Sadly this seemed to be a big issue site-wide which didn't improve as the night's went by. I really struggled to enjoy Arctic Monkeys it was that bad. Above all the chatter of people who seemed to have no interest in the band playing with their backs facing the stage it was difficult to really get involved in the moment. 2. Add to this two rude Spanish girls berating me for being tall and standing in front of them, despite me being there first. I've never been made to feel uncomfortable at a show before and I wasn't going to let them be the first to do so but I'd be lying if I say it didn't kill my buzz. These same two girls talked the whole way through the band's set anyway so I have no idea why they wanted me to move in the first place. Perhaps they would have got more enjoyment with their heads down a portaloo and done us all a favour. 3. It would seem Primavera is most certainly a festival of queues. There are THREE to get in on-site. Yep, three. It's a strange system of 1. bag search 2. wristband check 3. card scanning and turnstile entrance. Once finally in you realise quickly how difficult it is to get served at the bars. There wasn't necessarily many people waiting but they struggled to meet demand. They were severely understaffed and you'd often end up sobering up by the time you got a drink 30-40 minutes later. Most places had run out of mixers by 1am. 4. Put on your dancing shoes. Before any other type of shoe to be fair. It seemed a trend across the weekend that DJ's were put on really early. Maybe it's just the rut I'm stuck in but I'm used to seeing bands in the day/evening and DJ's at night to keep me pumped. This wasn't the case here with both Four Tet and Seth Troxler being on super early. 5. Timetabling. There's a lot going on but the first night I found large gaps in my itinerary of up to 2 hours. Surely some of the clashes could have been avoided and spread out more. Navigation around the site wasn't the most simplistic. The site is large. Not on Glastonbury's scale but when popular acts are set to play preceding each other on the two furthest points of the grounds, it was never going to end well. Getting to the Primavera Bits stages I often found my journey taking 30 minutes at a speedy stroll. You can add to that anything up to an hour+ when at peak congestion as the bridge access bottle necked, preventing anyone crossing. 6. This brings me nicely on to the traffic management (or lack of) which proved to be dangerous at best. I witnessed large crushes at some of the stages, Arctic Monkeys especially. Why festival organisers haven't introduced a one way entry/exit at the main Seat/Mango arena yet is beyond questioning. Facing away from the stages, entry to the arena should be on the right-hand side only (next to the food stands) so it can funnel in safely, and exit to the left up the stairs yet fans were fighting against the flow to leave and enter until security finally closed off the road. 7. Switch up look sharp. Changes are inevitable. Migos cancelled due to a missed flight. Haim pushed back. Delayed even further again a second time. Skepta announced as Migos' replacement. Also delayed. Pushed back another day all the way until the final night at 3am. Delayed coming on stage, again. It's a theme that run true through my schedule. 8. Not so much anything to do with the festival and sort of out of their hands but there was a lot of shady folk outside forcing their warming beer cans in my face. It seems a common issue in Barcelona here for people to sell beer on the streets. I have no harm in anyone doing so to make their money but please respect peoples space. I felt harassed every time I left the metro station. Overall, whilst Primavera had the weather, the line-up and food, sadly it wasn't to be for me with its poor running and organisation. Would I return? Most certainly not in a hurry. The line up next year would have to be seriously impressive with such strong competition in the running.